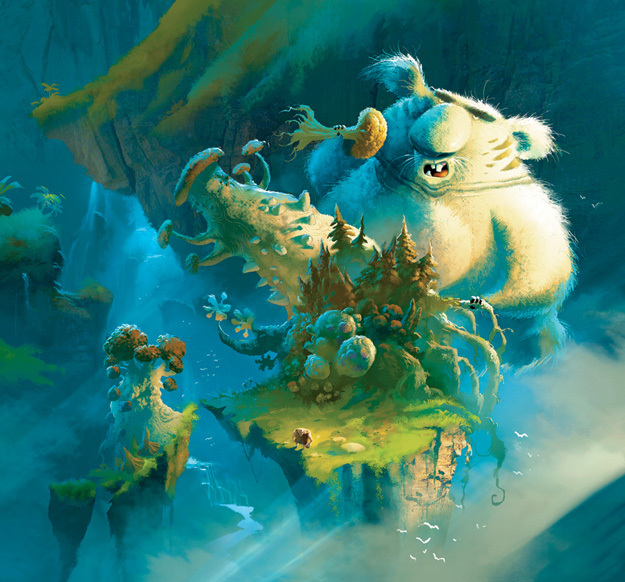 See the magic of how The Croods was transformed from concept art to screen. 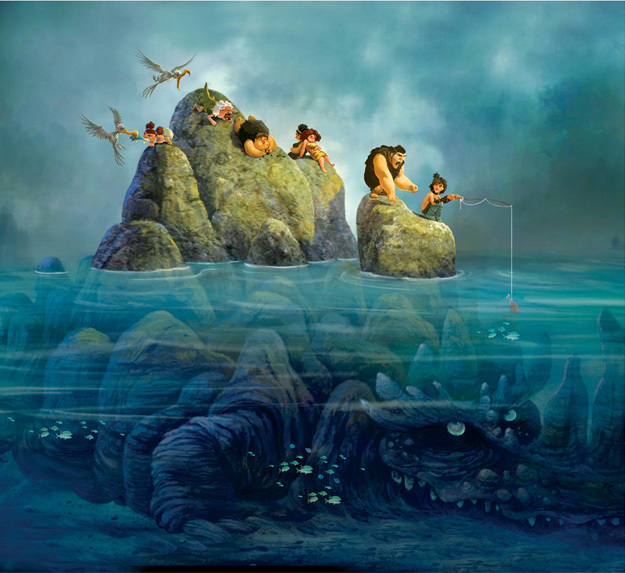 To be released on March 22, 2013, Dreamworks' The Croods will be followed-up by the publication of the book entitled The Art of The Croods, featuring some breathtaking scenes from the movie like you've never seen them before. Starring the voices of some of the biggest names in the industry, such as Nicolas Cage, Ryan Reynolds, Emma Stone, Catherine Keener, Clark Duke and Cloris Leachman, The Croods will take us back in time where -- or when (?) -- danger and beauty is inseparable. The Croods is a prehistoric comedy adventure that follows the world’'s first family as they embark on a journey of a lifetime when the cave that has always shielded them from danger is destroyed. Traveling across a spectacular landscape, the Croods discover an incredible new world filled with fantastic creatures - and their outlook is changed forever. 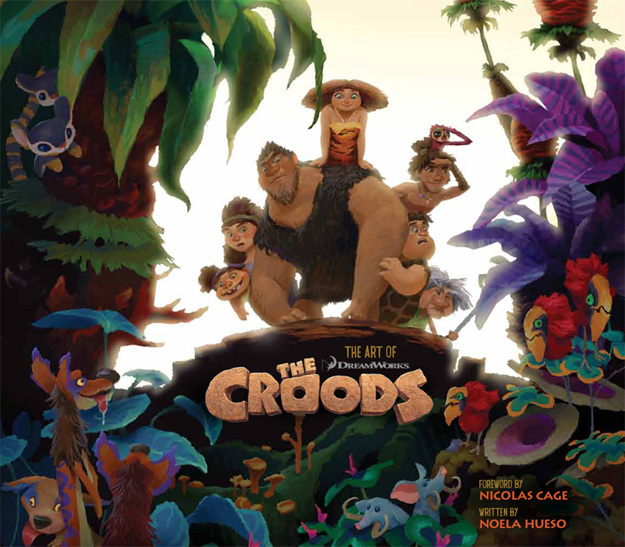 You can preorder a copy of The Art of The Croods at Amazon.